August 2016 – Melvin Brewing, 2015 GABF Small Brewpub Brewer of the Year, has partnered with Utah Craft Beverages to bring its hop-centric beers to the Beehive State. “It’s really quaint that we are now sending 2×4 DIPA, Melvin IPA and Hubert MPA cans to Utah. It feels like we are doing something that we will be punished for in the afterlife, but it gives us a tingly feeling and we can’t stop. Distributing beer to Utah, the lowest consumer of beer per capita in the US, is really a step in the right direction for Melvin and we can basically retire now”, remarked Melvin co-founder Jeremy Tofte. 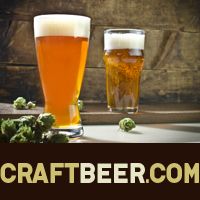 2×4 DIPA, Melvin IPA and Hubert MPA are available in better craft beer bars and restaurants and are available for special order through the Utah DABC. The post Melvin launches in Utah appeared first on CraftBeer.com.